I hope the christians will know the reality and work hard to remove such heretics from the church. ቤቴ-ቤተ ክርስቲያን የወንበዶች ዋሻ ?? 16and He would not permit anyone to carry merchandise through the temple. 17And He began to teach and say to them, "Is it not written, 'MY HOUSE SHALL BE CALLED A HOUSE OF PRAYER FOR ALL THE NATIONS'? But you have made it a ROBBERS' DEN." 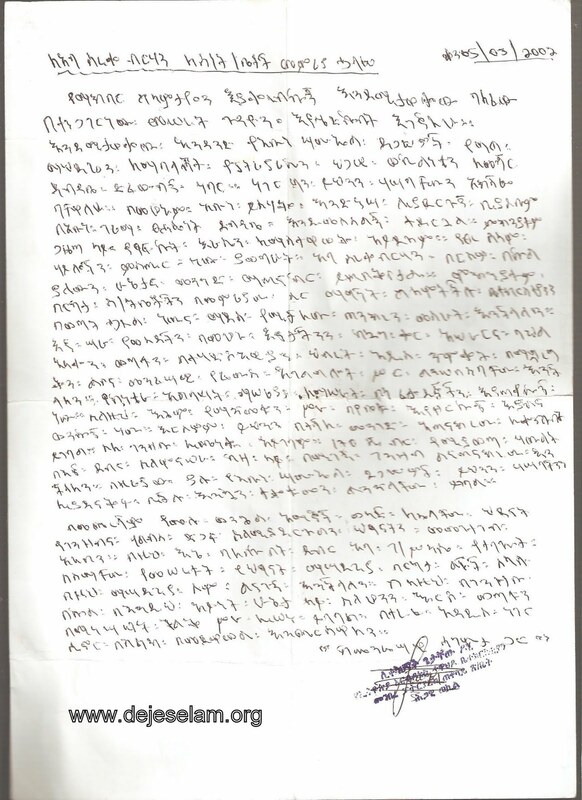 ሁወይ ጉድ!ይገርማልኮ-በተሃድሶ ጴንጤዎች የምትመራ ቤ.ክ ትሁን እምነታችን? እረ ዝምታው እስከ መቸ ነው? ወይስ ቤተ ክርስቲያኒቱ ከተዘረፈች በኋላ ለመንቃት ነው? "ያን ጊዜ ለቅሶ ይሆናል የማይጠቅም ለቅሶ ነው ..."
ይልቅስ አሁን እንንቃ! ያልነቁትንም እናንቃ! ሰላም ደጀ ሰላሞች ከትንሽ እስከ ትልቅ እውነተኛ ሰው በጠፋበት እና ሀሳውያን በበዙበት በዚህ ዘመን እናንተን ጠበቃ አድርጎ የተሰወረውን ከፍተኛ ሴራ እንድትገልጡልን የራቀውን እንድታቀርቡልን ላደረገ አምላካችን ምስጋና ይድረሰው አሜን ወገኖቼ ምንድነው ማድረግ ያለብን?ኧረ ምን ይሻላል?ኧረ ምን ይበጃል?ኧረ መላ ፍጠሩ ኧረ እንዴት ነው ተዋሕዶን የምንታደጋት?ውስጥ ውስጡን ጨረሱን እኮ አሁን እኮ ተዋሕዶን በአዋጅ መቀየር ነው የቀራቸው ምንድነው የምንጠብቀው?ኧረ ስለ ድንግል ማርያም እባካችሁ ምን እናድርግ? Keep up exposing thugs like Like Kahenat Getachew and Aba Sereke. I am quite certain that it will lead to the root cause of all problems. 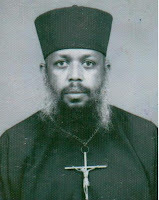 Abune Paulos would do Ethiopia's christians a favour by repenting and resigning now. The only other option he has is to be a part of the dirt heap of history. Those who rejected Aba Paulos from the very beginning were right. you are doing the right thing. also I think Let us leave alone Our fathers,they will do the prayer and we all need to respect them as church father. We just need to support mahibere kidusan which is already in the position to protect and defend our church from any keous. deje selam keep it up!!!! These people are practicing terrorist act in the church and should be deleted from the holy list of the kingdom. እኔ የተዋህዶ አማኝ ነኝ።ወደፊትም እንዲሁ ነው የምቀጥለው።ሀኖም ግን እጅግ አሳፋሪ ግዜ ውስጥ በመኖሬ አዝናለሁ።እንዳዘንኩ የምቀር ግን አይደለሁም።የሃዘኔን ምንጭ ከስሩ ነቅየ ለመጣል ግን እሰራለሁ።ይህ ሁሉ ውርደት የመጣው በወያኔ ነው።ለዚህ ሁሉ ተጠያቂው ወያኔ ነው እንጂ ማንም አይደለም።ሃይማኖታችን በሁለት እና ከዚያ በላይ እንድትከፈል ያደረጋት ወያኔ ነው።ሁለት ሲኖዶስ የፈጠረላት ወያኔ ነዉ።የጎጠኞችን ስሜት የሚቀሰቀሰው ወያኔ ነው።እናም ቤተክርስትያናችን ቀኖናዋንና ዶግማዋን ጠብቃ እንድትሄድ የምትፈልጉ ከሆን ያላችሁ አማራጭ አንድና አንድ ብቻ ነው። እርሱም ወያኔን በጉልበት ከስልጣን ማውረድ።ያን ግዜ ሁለት ሲኖዶስ አይኖርም።ያን ግዜ በጠብ መንጃ እየታገዘ ቤተክርስትያን ጉያ የሚደበቅ የሃይማኖት አባት አይኖርም።ስለሆነም አገራችንን ክውሾች እጅ ነጻ ለማውጣት ነፍጥ ያነሱ ወንድምና እህቶቻችንን በመርዳት እኛም በትግሉ በመሳተፍ ለነጻነታችንና ለሃይማኖታቸን ክብር ስንል ለመሞት እንዘጋጅ።አቡነ ጴጥሮስ እንዲያ ነው ያደረጉት።በማላዘን የሚገኝ ነጻነትም ሆነ ክብር የለም።አሁን በዚህ ግዜ በጩኀት የሚፈርስ የኢያሪኮ ግንብ የለም።እውነት ሃይማኖትህን የምትወድ ከሆነ እውነት አገርህን የምትወድ ከሆነ ለምን የአያቶቼ አጥንት የረገፈበት ተራራ ላይ ለነጻኔቴ አለወድቅም ብለህ አትነሳም?ህወሃቶች እንዲያ ነው ያደረጉት።በራብ ከምንሞት ተዋግተን ለምን አንሞትም ብለው ነው ዛሬ ላሉበት ሁኔታ የበቁትና አገራችንንም ሃይማኖታችንንም እንዲህ ያሚያዋርዱት። በጩኀት የሚመጣ ነጻነት የለም።ነብየ እግዚአብሄር ሙሴ እነዚያን አመጸኛ ግብጻዊያንን ባይገድል ኖር ለዚህ ክብር ባልበቃ ነበር።ቁጭ ብሎ እንደኛ ቢያላዝን እግዜር ዞር ብሎም ባላያው።If you really need your freedom,get up and fight for your freedom.መዋጋት የማትችል ከሆነ ደግሞ በገንዘብህ እርዳ።በእውቀትህ እርዳ። ባለህ ችሎታ ሁሉ አግዝ።ጸሎትህ ከደመና በታች የማይቀርብህ ክሆነም እግዜር ወያኔን እንዲያሰወግድ ተንበርክከህ አልቅስ።ወያኔ ሲወገድ ጌታቸው ዶኒ ማን እንደሆነ ይነግረናል።ሳይሞት ሃውልት በቁሙ ያሰራው ፓትሪያርክ ማን እንደሆነ ያን ግዜ እነጠይቀዋለን።ስለዚህ ኦርቶዶክሳውያን ተነሱ ወደ አገር ማዳኑ ተግባር ተሰማሩ።በመጨረሻም ኢሳትንም እንርዳ።የኢትዮጵያ ሳይታላይት ቴሌቭዝን ስራውን እንዲጀምር የምንችለዉን ሁሉ እንድርግ። ወስብሃት ለእግዚአብሄር! Shame on you Liqe Kahinat Getachewu Doni and Aba Sereqe! You will pay for your wrong doings unless you repent. Please let's focus on the point. Leave MK out of this. They may do their job let's do ours.Don't we have responsibility as children of the church. "enesu haylachew genzeb new yegna hayl gin ante bicha neh......endechrinetih enji endebedelachin ayhunibin GETA hoy.........."
እንደ"አባ" ሰረቀ ዓይነቱ በጸሎት ብቻ አይወጣም፤፤ ወገኖች "አባ" ሰረቀ ለዕርቁ ከኢትዮጵያ ከመጡት አባቶች ጋር መጥቶ የግሉ በሆነዉ ቨርጂንያ በሚገኘዉ ጊዮርጊስ ቤተ ክርስቲያን ይገኛል፡ የአመጣጡ ጉዳይ ለጥቅምቱ የጵጵስና ሹመት ይቃወሙኛል ብሎ ከምያስባቸዉ ብጹአን አባቶች አንዱ ብጹዕ አቡነ አብረሃም ናቸዉ ብሎ ስለሚያስብ እርሳቸዉን ለማግባባት እንደመጣ ይነገራ፤፤ ይህንን ጉዳይ ከቻለ በአንደበት ካልተሳካለትም በገንዘብ አፍ ለማዘጋት የተቻለዉን እንደሚያደርግ ተናግሮ'አል፤፤ ለዚሁ ዓላማዉ መሳካት ከቅርብ ጊዝዬ ወዲህ በእንባ ጠባቂዉ በአባ ጽጌ ብኩል ቤተ ክርስቲያኔን ከሌሎቹ የግብር አበሮቹ በመለየት የኢትዮጵያ ቤተ ክርስቲያን አድርግያለሁ 20% ለሃገረ ስብከቱ ፈሰስ አደርጋለሁ ብለዋል፤ ይህቺ ደግሞ የአባ መላኩ/ የአቡነ ፋኑኧል/ ፈሊጥ መሆኑዋ ነዉ...ምን ይሻለናል ወገኔ ዉስጤ ተቃጠለ ...ማንን እንመን??? egzyabher sela hatyatachin belo sayhon sela zich hymanot bilow silemotu betu endetabeq betsolot enelemenow. Thank you DS for exposing this evil plot.... but becareful for you are not in a country of laws. These people can take you out if they know who u are. Don't u forget it. Well, to all DS visitors and children of Tewahedo: we can all be angry, burn with passion and cry & demand justice... but I don't think that can take us any where. We all have to do what we can to expose this kind of people (yetehadisso aramajoch) everywhere. Me, I have already sent all my email friends (~800) this article with the letter and pictures (made a pdf file so everyone can see it clearly) and have printed some to give it to some my 'atbia' church and sunday school members who don't have emails. When everyone knows about this and goes to complain to their 'atbia' church, well that will create a fire storm that they (Aba Sereqe/lk getachew,etc...) can never stop. Please give me Mulgeta's full website. I very know him the most "Tekula". I will write him with evidence.